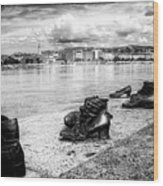 A great concept brilliantly executed to make a powerful statement. 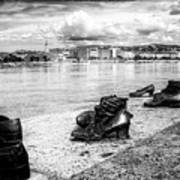 In Budapest, Hungary, at the end of WWII many Hungarian Jews were slaughtered by a group of former Nazi’s who belonged to a party called Arrow Cross. The members of Arrow Cross would line the Jews up along the Danube, tie them together, then shoot the first one so the others would fall into the river and drown. Victims were made to remove their shoes prior to being shot because of the value of the shoes. 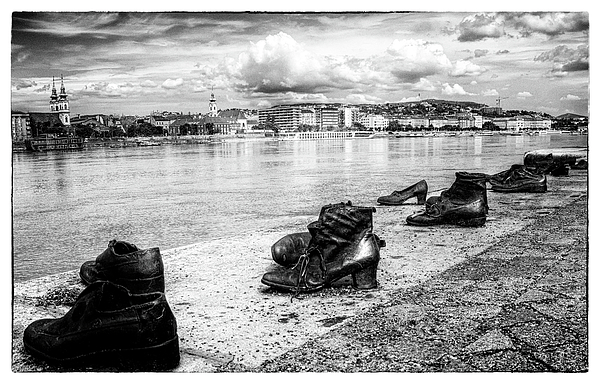 This image shows part of the memorial of 60 pairs of shoes placed beside the river near the parliament buildings.